Plug Valves - Right For Your Application? a positive choice for many fluid process applications. There are common components to be found on almost every process system that involves fluid control. 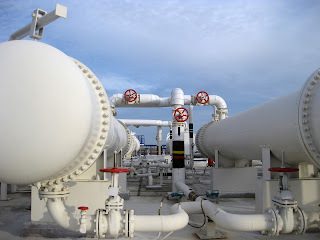 Regardless of the operation's scale, pumps, piping, tanks and valves are likely to be part of the system. 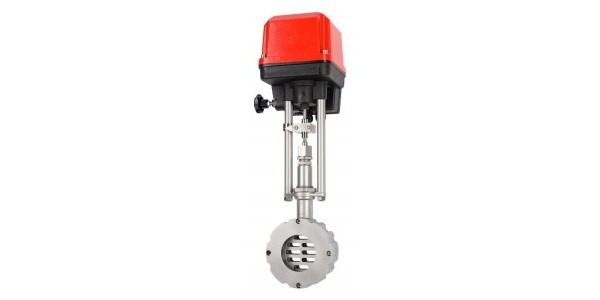 Industrial flow control valve types are generally classified according to the structure or arrangement contained within the valve body that provides obstruction to fluid flow. Some of the common types are ball, butterfly, gate, globe, and plug. Surely, there are more valve types, and this article is not intended to list them all. Some of our previous blogs have discussed selection considerations for gate, ball and butterfly valves. This article will focus on one of the oldest valve types, the plug valve. Plug valves, like ball and butterfly valves, span from fully open to fully closed positions with a shaft rotation of 90 degrees. 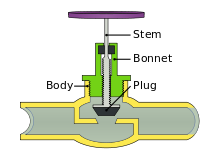 The “plug” in a plug valve is installed in the flow path within the valve body and rotated by means of a stem or shaft extending to the exterior of the body. Plugs are often tapered toward the bottom and are fitted to a seating surface in the valve body cavity that prevents fluid from bypassing the plug. An opening through the plug, the port, can be shaped to provide particular flow characteristics. There are numerous variants of the basic plug valve which may make it suitable for particular applications. 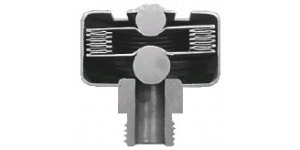 One common variant is the lined or sleeved plug valve, with an insert or interior lining of material that creates an isolating barrier between the valve body and the media. This allows use of less expensive materials for the body construction that may be otherwise subject to corrosion by exposure to aggressive media. Positive attributes of plug valves. available to suit every application. Matching up the most appropriate control device for a processing application, taking all factors into account, may not always result in a selection of the most technologically advanced, complex or full featured solution. Sometimes, all that is needed is a device with a limited performance set, but one that performs its functions reliably in a challenging industrial environment. Industrial versions of temperature, pressure and differential pressure switches are fitted with appropriate mountings for the process and housings for the installation environment. 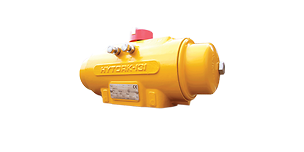 Hazardous location installation can be accommodated. High current switch ratings and auxiliary functions add to the usefulness of these devices. There are almost countless variants available to accommodate almost every application. 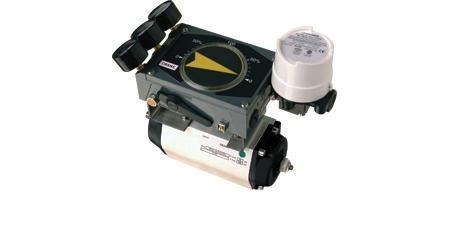 Don’t overlook these simple and reliable mechanical devices as candidates for application in temperature and pressure control. Share your application requirements and challenges with product specialists for useful recommendations. applications are a hallmark of the Krombach brand. 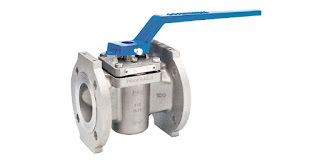 The Krombach branded valves, part of the Crane CPE product offering, target challenging applications in industrial settings that benefit from the use of valves specially designed for severe service. The brand also includes a standard product offering of valves and specialties for a broad range of common industrial applications. Below is a cutsheet providing an overview of the company's standard product categories. Whatever your fluid control application, share your challenges with the valve specialists at MSEC. Leverage your own process knowledge and experience with their product application expertise to develop effective valve and automation solutions. under the command of a tuned process control loop. Controller tuning is a process whereby a controlling device in a process has a response characterized to the needs of maintaining a process condition within certain limits under a range of varying disturbances to the process. Established guidelines for automation standards exist so that every process control operator can experience the same standard of safety and maintenance in a way universally understandable. The International Society of Automation (ISA) promotes different tuning standards based on the particulars of the control process, such as temperature or liquid level control. 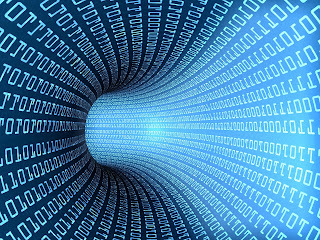 Liquid-level control loops are usually considered non-self-regulating processes. They require external moderation to remain uniform and for errors to either be mitigated or corrected. General rules which exist for adjusting and tuning loops for self-regulating process, such as temperature control, are often inapplicable to liquid level loops, making liquid level control loops somewhat unique in their tuning. In order to address the counter intuitive nature of these process loops, start with a model of the loop’s ideal functionality. This can serve as a reference. After doing so, incorporate potential variables into the ideal loop and evaluate their impact on the model process. Checking equipment, then modeling the process dynamics, allows engineers to observe the manner in which the process reacts in relation to the target or goal performance. Whereas other loops can be tuned via trial and error, liquid-level control loops should not be due to the nature of their reactions to controller input being different than that of other processes. Instead, the parameters for the control loop need to be carefully engineered, rather than specifically tuned. 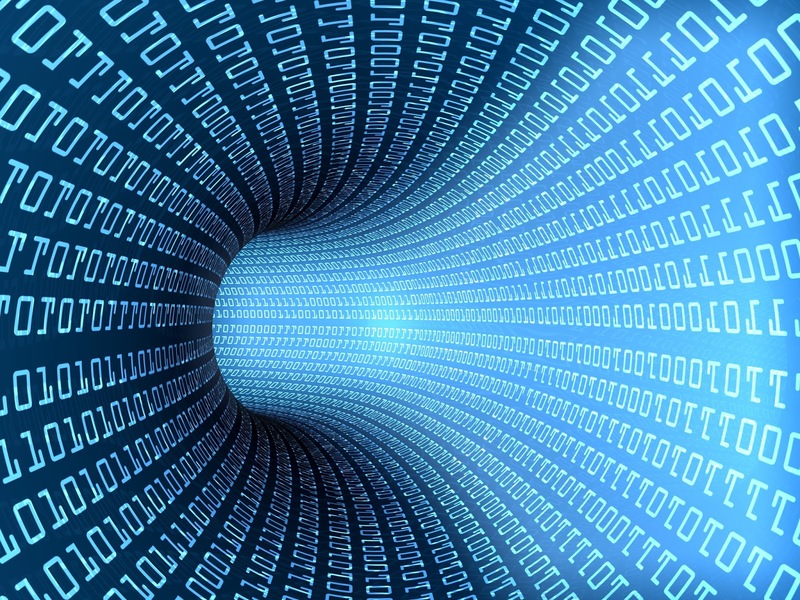 Liquid level loops are integrating processes, rather than self-regulating. A self-regulating process will, with no disturbances to the variables, reach an equilibrium at which the process value remains constant. 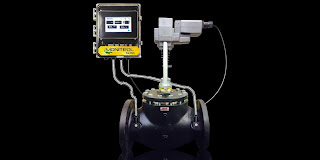 Consider a non-self-regulating liquid level control loop where the fill valve is open. No equilibrium point will be achieved, just overflow. The distinction between the two types is key to understanding why tuning liquid level loops is a different process than self-regulating control loops. Temperature and thermal loops, depending upon the process dynamics, present varying degrees of tuning challenge. PID temperature controllers are employed to adjust the heat input to a process to affect a change in, or maintenance of, a process temperature setpoint. Without proper tuning, the controller output and the resulting process performance can oscillate or be slow to respond, with a negative impact on process performance or yield. Many PID controllers have an auto-tune feature, some of which are more effective than others. The best results achievable by PID controller tuning are accomplished by defining a setpoint prior to the auto-tune process and starting the tuning procedure from a stable process condition. Tuning the controller in the same process environment in which it will operate can also be very helpful. Share your process measurement and control challenges with experienced application specialists, combining your own knowledge and experience with their product application expertise to develop effective solutions. with forced draft, rated 50 tons. Pioneer series. 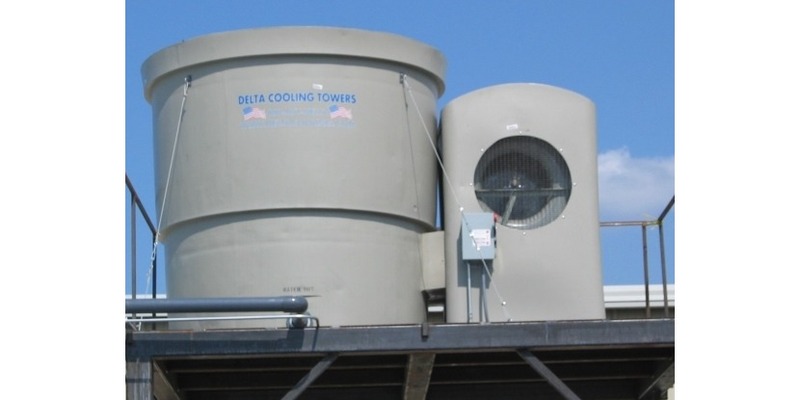 Delta Cooling Towers specializes in the design and construction of corrosion resistant cooling towers and similar equipment. Much of the tower construction is HDPE or other non-metallic material, enabling the company to offer a 20 year warranty on their equipment. Cooling towers are employed worldwide in HVAC applications and process fluid cooling. In addition to their industry leading corrosion resistance, Delta Cooling Towers also offers anti-microbial protection which combats the growth of microbes responsible for Legionnaires Disease and other respiratory ailments. The various product lines cover heat transfer capacities to accommodate any installation. There is a lexicon employed in the description of cooling tower performance and operation. Some commonly used terms, along with their meaning, is provided below. The terms and their meanings is pulled from the owner's manual provided by Delta Cooling Towers for their Pioneer series of forced draft cooling towers. Share your process and HVAC cooling challenges with application experts, leveraging your own knowledge and experience with their product application expertise to develop an effective solution. BTU - A BTU is the heat energy required to raise the temperature of one pound of water one degree Fahrenheit in the range from 32° F. to 212° F.
Cooling Range - The difference in temperature between the hot water entering the tower and the cold water leaving the tower is the cooling range. Approach - The difference between the temperature of the cold water leaving the tower and the wet-bulb temperature of the air is known as the approach. The approach fixes the operating temperature of the tower and is a most important parameter in determining both tower size and cost. Drift - The water entrained in the air flow and discharged to the atmosphere. Drift loss does not include water lost by evaporation. Proper tower design and operation can minimize drift loss. Heat Load - The amount of heat to be removed from the circulating water through the tower. Heat load is equal to water circulation rate (gpm) times the cooling range times 500 and is expressed in BTU/hr. Heat load is also an important parameter in determining tower size and cost. Ton - An evaporative cooling ton is 15,000 BTU's per hour. Wet-Bulb Temperature - The lowest temperature that water theoretically can reach by evaporation. Wet-Bulb Temperature is an extremely important parameter in tower selection and design and should be measured by a psychrometer. Pumping Head - The pressure required to pump the water from the tower basin, through the entire system and return to the top of the tower. Make-Up - The amount of water required to replace normal losses caused by bleedoff, drift, and evaporation. Bleed Off (Blowdown) - The circulating water in the tower which is discharged to waste to help keep the dissolved solids concentrating in the water below a maximum allowable limit. As a result of evaporation, dissolved solids concentration will continually increase unless reduced by bleed off. Image courtesy of Crane Co.
Industrial process control often involves the regulation of fluid flow. There are almost uncountable types and variants of flow control valves, each with a particular set of attributes that can make it the advantageous choice an application. When the process calls for controlling flow over a range of possible values, known as throttling, a globe valve may be a good candidate for the application. 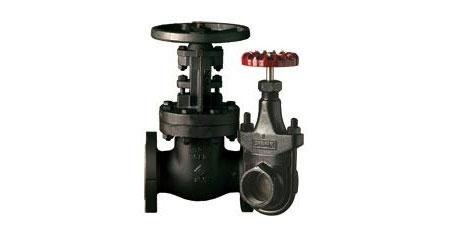 Globe valves are characterized by the change in direction of fluid flow as it passes through the valve and around the plug positioned in an opening through which fluid must pass. The plug is connected to a stem extending to the exterior of the valve body through the bonnet. Movement of the stem will reposition the plug in relation to the opening, providing a successively larger or smaller opening area through which fluid can pass. Globe valves are available in tee, angle, and wye configurations, as well as an enormous range of special configurations to suit specific applications. 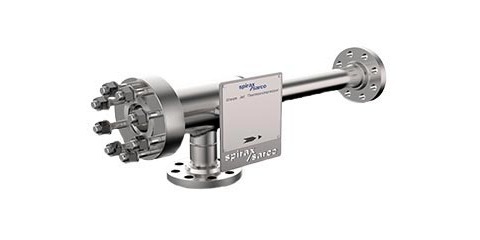 What are some potential advantages of globe valves? 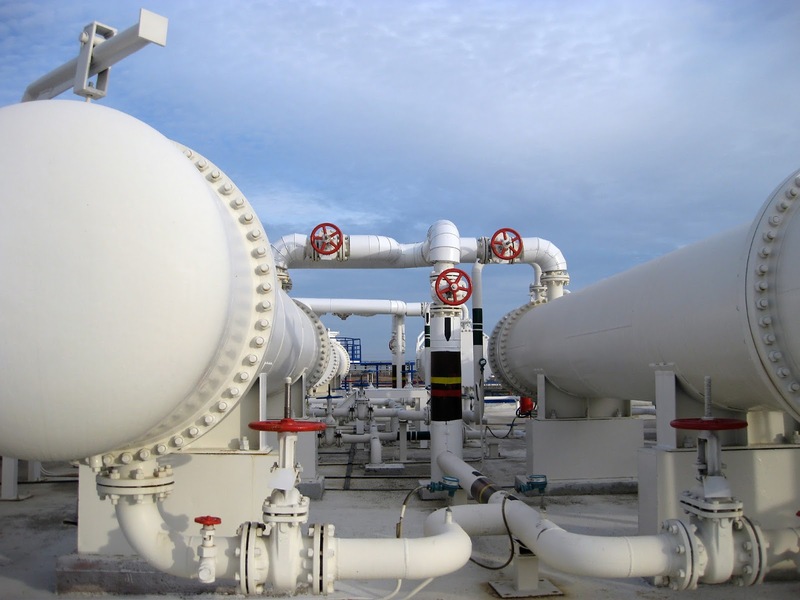 What are some limiting factors for globe valves? When flow throttling capability is the overriding concern for an application, a globe valve is a good candidate for consideration. Share your flow control challenges with valve and automation specialists. Combining your process knowledge and experience with their product application expertise will produce effective solutions. from HDPE plastic to resist corrosion. The huge, perfectly shaped cylindrical towers stand tall amidst a landscape, with vapor billowing from their spherical, open tops into the blue sky. Such an image usually provokes a thought related to nuclear power or a mysterious energy inaccessible to the millions of people who drive by power plants every day. In reality, cooling towers – whether the hyperboloid structures most often associated with the aforementioned nuclear power plants or their less elegantly shaped cousins – are essential, process oriented tools that serve as the final step in removing heat from a process or facility. The cooling towers at power plants serve as both an adjuster of a control variable essential to the process and also as a fascinating component of the process behind power creation. The importance and applicability of cooling towers is extensive, making them fundamentally useful for industrial operations in power generation, oil refining, petrochemical plants, commercial/industrial HVAC, and process cooling. In principle, an evaporative cooling tower involves the movement of a fluid, usually water with some added chemicals, through a series of parts or sections to eventually result in the reduction of its heat content and temperature. 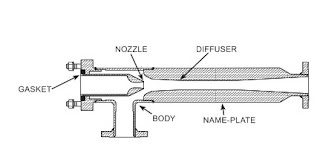 Liquid heated by the process operation is pumped through pipes to reach the tower, and then gets sprayed through nozzles or other distribution means onto the ‘fill’ of the tower, reducing the velocity of the liquid to increase the fluid dwell time in the fill area. The fill area is designed to maximize the liquid surface area, increasing contact between water and air. Electric motor driven fans force air into the tower and across the fill area. As air passes across the liquid surface, a portion of the water evaporates, transferring heat from the water to the air and reducing in the water temperature. The cooled water is then collected and pumped back to the process-related equipment allowing for the cycle to repeat. The process and associated dispersion of heat allows for the cooling tower to be classified as a heat rejection device, transferring waste heat from the process or operation to the atmosphere. Evaporative cooling towers rely on outdoor air conditions being such that evaporation will occur at a rate sufficient to transfer the excess heat contained in the water solution. Analysis of the range of outdoor air conditions at the installation site is necessary to assure proper operation of the cooling tower throughout the year. Evaporative cooling towers are of an open loop design, with the fluid exposed to air. A closed loop cooling tower, sometimes referred to as a fluid cooler, does not directly expose the heat transfer fluid to the air. The heat exchanger can take many forms, but a finned coil is common. A closed loop system will generally be less efficient that an open loop design because only sensible heat is recovered from the fluid in the closed loop system. A closed loop fluid cooler can be advantageous for smaller heat loads, or in facilities without sufficient technical staff to monitor or maintain operation of an evaporative cooling tower. 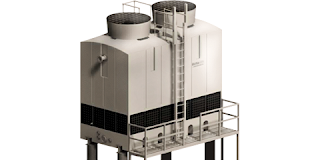 Thanks to their range of applications, cooling towers vary in size from the monolithic structures utilized by power plants to small rooftop units. Removing the heat from the water used in cooling systems allows for the recycling of the heat transfer fluid back to the process or equipment that is generating heat. This cycle of heat transfer enables heat generating processes to remain stable and secure. The cooling provided by an evaporative tower allows for the amount of supply water to be vastly lower than the amount which would be otherwise needed. No matter whether the cooling tower is small or large, the components of the tower must function as an integrated system to ensure both adequate performance and longevity. Understanding elements which drive performance - variable flow capability, potential HVAC ‘free cooling’, the splash type fill versus film type fill, drift eliminators, nozzles, fans, and driveshaft characteristics - is essential to the success of the cooling tower and its use in both industrial and commercial settings. Energy conservation and energy efficiency have contributed very large cost savings to many industrial and commercial operations over the past two decades. Projects with modest payback periods quickly begin their contributions directly to the bottom line of the balance sheet. In many instances, incorporating energy conservation and efficiency measures also improves the overall functioning of the consuming systems and equipment. In order to save energy, it is generally necessary to exercise better control over equipment or system operation by gathering more information about the current operating state. This additional information, gathered through measurement instrumentation, often finds use in other ways that improve productivity and performance. Steam is utilized throughout many industries as a means of transferring heat, as well as a motive force. Much energy is consumed in the production of steam, so incorporating ways of recovering or utilizing the heat energy remaining in waste steam is a positive step in conservation. inlet at the bottom and high pressure steam nozzle. requirements. Two general varieties are available. 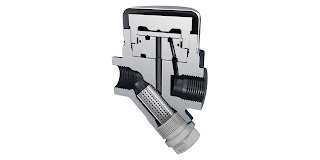 The fixed nozzle style is intended for applications with minimal variation in the supply and condition of the suction steam (the low pressure steam). Some control is achievable through the regulation of the high pressure steam flow with an external control valve. A second style provides a means of regulating the cross sectional area through which the high pressure steam flows in the nozzle. This style is best applied when specific discharge flow or pressure is required, or there is significant variation in the inlet steam conditions. Share all your steam system challenges with a steam system application specialist. Combine your own process and facilities knowledge and experience with their product application expertise to develop effective solutions. Sterling, under the Sterlco brand, manufactures a range of Steam control products for commercial and industrial use. Steam traps, condensate return pumps, boiler feed pumps, and self regulating temperature control valves are all part of the product offering. The video included with this posting provides a short overview of the product extent of the Sterlco line. Share your steam system challenges with product application specialists. Combine your own facilities and process knowledge and experience with their product application expertise to develop the most effective solutions. their application crosses all industry boundaries. Cars are something which exist as part of the backbone of modern society, for both personal and professional use. Automobiles, while being everyday objects, also contain systems which need to be constantly maintained and in-sequence to ensure the safety of both the machine and the driver. One of the most essential elements of car ownership is the understanding of how heat and temperature can impact a car’s operation. Likewise, regulating temperature in industrial operations, which is akin to controlling heat, is a key process control variable relating to both product excellence and operator safety. Since temperature is a fundamental aspect of both industrial and consumer life, heat management must be accurate, consistent, and predictable. A common design of heat exchangers used in the oil refining and chemical processing industries is the shell and tube heat exchanger. A pressure vessel, the shell, contains a bundle of tubes. One fluid flows within the tubes while another floods the shell and contacts the outer tube surface. Heat energy conducts through the tube wall from the warmer to the cooler substance, completing the transfer of heat between the two distinct substances. These fluids can either be liquids or gases. If a large heat transfer area is utilized, consisting of greater tube surface area, many tubes or circuits of tubes can be used concurrently in order to maximize the transfer of heat. There are many considerations to take into account in regards to the design of shell and tube heat exchangers, such as tube diameter, circuiting of the tubes, tube wall thickness, shell and tube operating pressure requirements, and more. In parallel fashion to a process control system, every decision made in reference to designing and practically applying the correct heat exchanger depends on the factors present in both the materials being regulated and the industrial purpose for which the exchanger is going to be used. 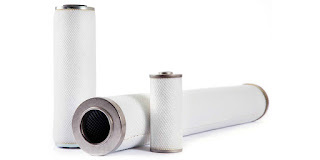 The industrial and commercial applications of shell and tube heat exchangers are vast, ranging from small to very large capacities. They can serve as condensers, evaporators, heaters, or coolers. You will find them throughout almost every industry, and as a part of many large HVAC systems. 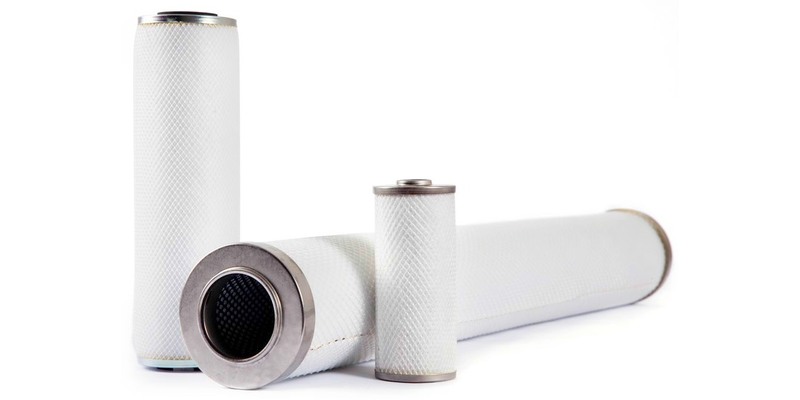 Shell and tube heat exchangers, specifically, find applicability in many sub-industries related to food and beverage: brewery processes, juice, sauce, soup, syrup, oils, sugar, and others. Pure steam for WFI production is an application where special materials, like stainless steel, are employed for shell and tube units that transfer heat while maintaining isolation and purity of a highly controlled process fluid. Shell and tube heat exchangers are rugged, efficient, and require little attention other than periodic inspection. Proper unit specification, selection, and installation contribute to longevity and solid performance. Share your project challenges with application experts, combining your own process and facilities knowledge with their product application expertise to develop effective solutions. Natural gas fueled vehicles now occupy a formidable niche in the transportation market. With low cost, low emission operation, natural gas vehicles continue to expand their presence in fleets around the world. Commercially available engines of almost all types operate best and longest when powered with clean fuel that is free of particulates and other contaminants that increase wear on internal and moving parts. Water vapor also has some deleterious effects on many components and should be kept at very low levels. Fuel can change custody and container numerous times during transport from production to consumption point. Opportunities for contamination exist along the supply chain, making a final processing of the fuel immediately prior to its dispensing to a vehicle a positive and beneficial operation. 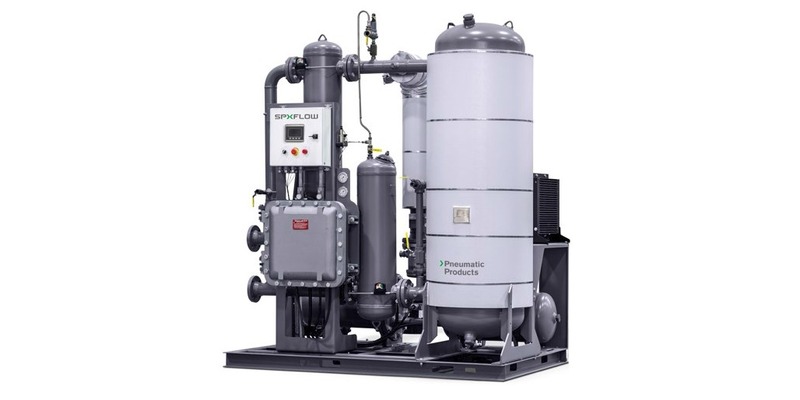 SPX Flow, under the Pneumatic Products brand, manufactures single and twin tower desiccant dryers designed to remove water vapor from natural gas. 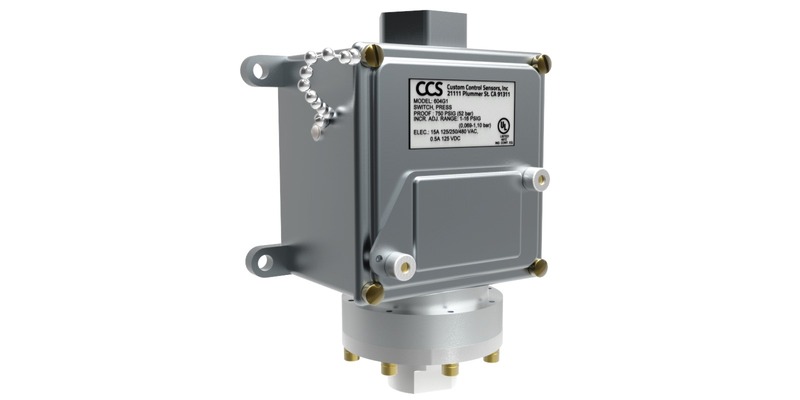 The skid mounted units also include particulate and coalescing filters that capture solid contaminants to a submicron level. Specifically engineered for large flow heavy-duty natural gas vehicle fleet refueling applications, units are available for intermittent, low, moderate, and heavy demand operations. Single tower units are economical for low to moderate levels of use. Twin tower systems, with self-contained regeneration, provide continuous operation and delivery of dried compressed natural gas (CNG) for fueling operations. Single tower dryers can be provided with a stationary desiccant regeneration system on board. This enhances convenience by eliminating the need for a third party regeneration service. The desiccant is processed in place, without replacement. Single tower dryers are suitable for low to moderate volume application. Single tower units, without a stationary regeneration system, are suitable for intermittent or low volume use. A mobile regeneration unit can provide self directed processing of the desiccant media in place, eliminating the need for disposal and replacement. Alternatively, third party service providers can come to the site and replace or regenerate the desiccant. Twin tower purification systems are completely self-contained, fully automatic, heat-reactivated, closed-loop blower purge units capable of continuous operation for facilities with high flow requirements or uninterrupted 24 hour operation. More detail is provided in the datasheet below. Share your natural gas vehicle fueling station challenges with a product application specialist for help in determining the most suitable equipment for your application.